Glimmer is just enjoying a bit of a bath before diving into the last of the celebration posts for the night. 10 Fun Videos for Starlight Glimmer Day! 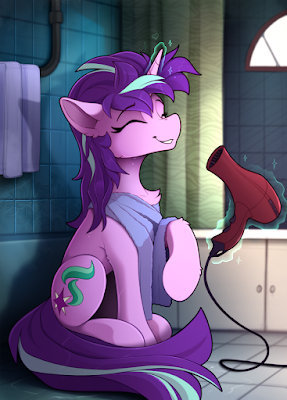 Starlight Glimmer: Open Art Compilation!